In recent years the United Kingdom has done pretty well in the tech-metal stakes. From fore-bearers like Sikth and Exit Ten to the hordes of bands and fans that flock to UK Tech-Fest each year, we're not doing bad at it. South Coast quartet Core Of iO are a new name to me, but are another band to add to the list of those pushing UK metal in more technical directions. They released their first EP "With Gravity As My Hostess" in 2014 and since then they've been moving through a concept-like run of EPs that started with "Part IV: Callisto" and now arrives at "Part II: Europa". This three song EP has only recently been self-released both digitally and on cd by the band, who have recently featured at Mammothfest and on Kerrang Radio. 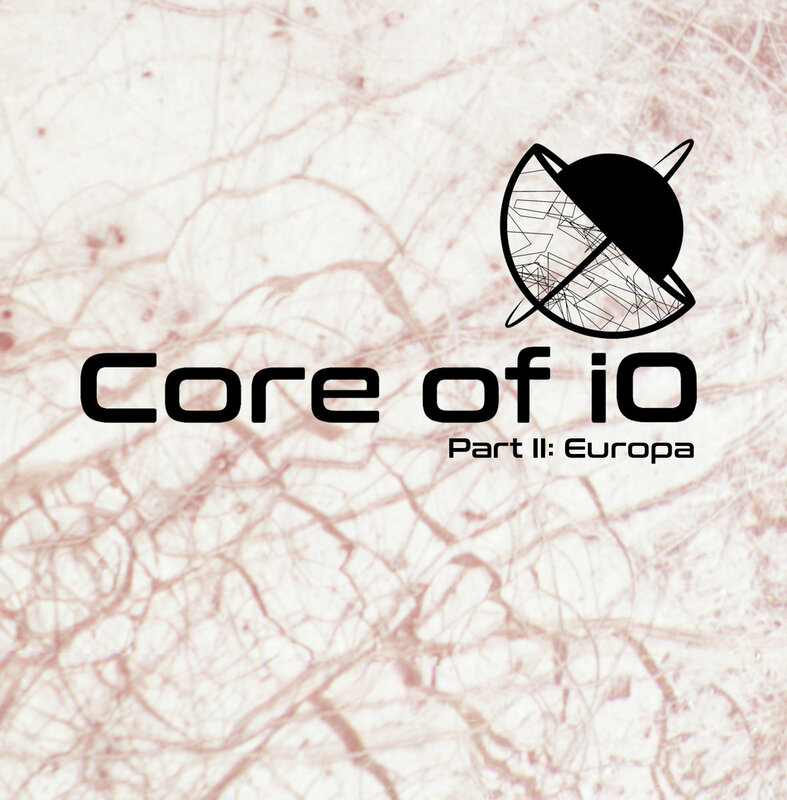 Core Of iO are very much cut from a modern cloth. EP opener Stuck is a mix of clean/harsh vocals, melodic riffs and solid production work that comes courtesy of Paul Winstanley of Brighton Electric, the band's own Gareth Sidwell and Alan Douches of West West Side Music. It’s a mix of alternative, progressive and technical metal with hooks. Their sound has a lot in common with the like of Tool and the aforementioned Sikth on Hit The River Hard, with it’s groove and catchy structure. I like the fact that Core Of iO remain themselves on this EP, instead of taking too much from those who’ve come before them. They’re not breaking new ground but are super accomplished musically and the live experience they’ve gained has certainly helped them write a great (if not short) set of songs here. EP closer Lenuta is the long-player of the bunch and nearly ten-minutes and it’s also the closest song they have to a ballad, at least to start with. It’s got a subtle grunge-feel to it, especially in the vocals and even when it builds in volume it retains it’s impact. It’s only when sitting and actually taking this song that you realise how good this band is. The extended instrumental section that rounds out Lenuta is brilliant and really shows what Core Of iO can do. As a full band they’re great but this writer does like the instrumental side to them (maybe a bit more). If you like what you hear, go and check out their earlier releases and badger them for a full-length.